Techland opened access to pre-order Dead Island: Riptide. Sequel to the famous horror film tells the story of those who have managed to escape death and escape from the island. The players have to get back into this nightmare, after the ship is infected and rescuers swooped on a reef near the island Palanai. Horror survivors becomes even stronger when they learn that it is a huge resort with lots of people (even though people among them remained, alas, a little). Detail about the plot, you can find out from the start trailer the below. 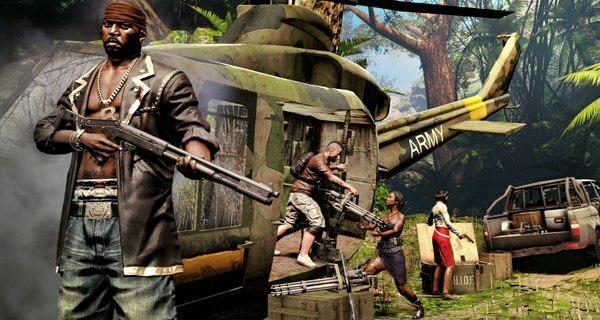 Release Dead Island: Riptide is scheduled on April 26 for all platforms and regions simultaneously. At this point you can make a reservation for Survival Pack for only $ 39.99, which also includes the Game of the Year Edition of the original Dead Island.